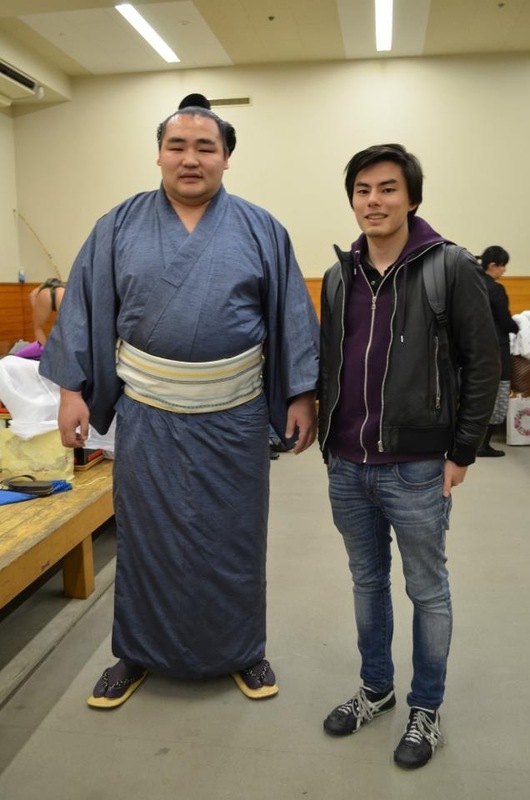 Published by The American Chamber of Commerce in Japan Journal, May 2015 issue. Meeting with Prime Minister of Japan. 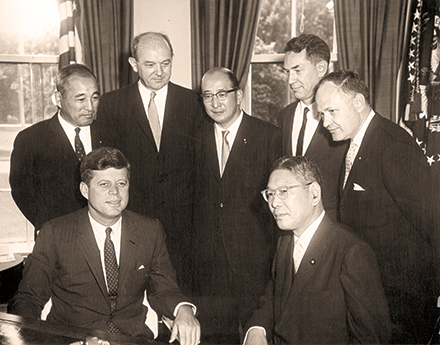 Japanese Ambassador to US Koichiro Asakai; President Kennedy; Secretary of State Dean Rusk; Minister of Foreign Affairs of Japan Zentaro Kosaka; Prime Minister Hayato Ikeda; US Ambassador to Japan Edwin O. Reischauer; James J. Wickel, interpreter. Oval Office, White House. TOKYO – Robert F. Kennedy stood on the stage of Waseda University’s Okuma Auditorium and looked out on an audience erupting in chaos. It was February 6, 1962, and President John F. Kennedy’s younger brother—also the attorney general and JFK’s trusted adviser—had been dispatched to Tokyo to smooth over US–Japan relations, at a time when anti-US sentiments were running high. Former U.S. President Bill Clinton, speaking at a symposium in Tokyo, describes the lasting impact of John F. Kennedy’s leadership. TOKYO – Camelot is alive and well in Tokyo. Political leaders including former U.S. President Bill Clinton and Japanese Prime Minister Shinzo Abe joined academics, government officials, media pundits and even an astronaut to praise the legacy of U.S. President John F. Kennedy and his lasting impact on modern life. 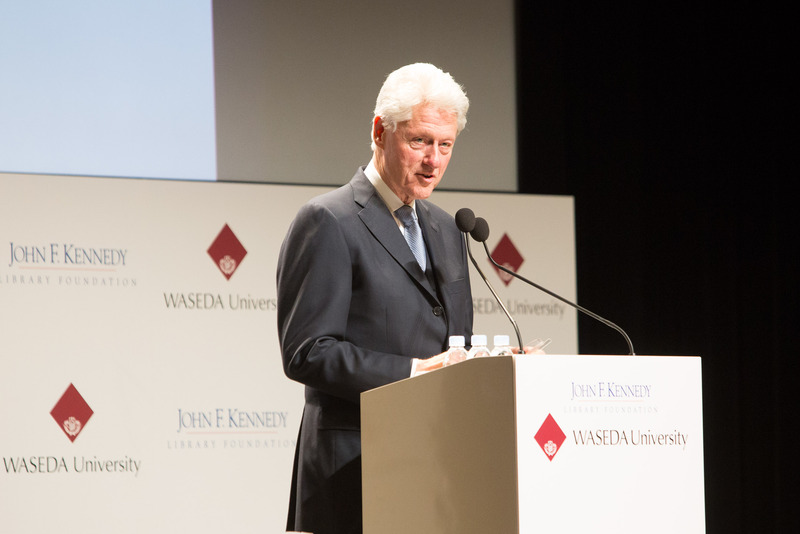 The event took place at a fully packed Okuma Auditorium at Waseda University in Tokyo, where President Kennedy’s brother, then-Attorney General Robert F. Kennedy, delivered a lecture to students in 1962. Kennedy had dispatched his brother to Japan at a time of anti-American student protests in Japan; Robert calmed an angry crowd of students at Waseda (and Japanese television viewers at home), and his trip marked a turning point in U.S.-Japan relations, wrote Dartmouth College scholar Jennifer Lind, who attended Wednesday’s event. 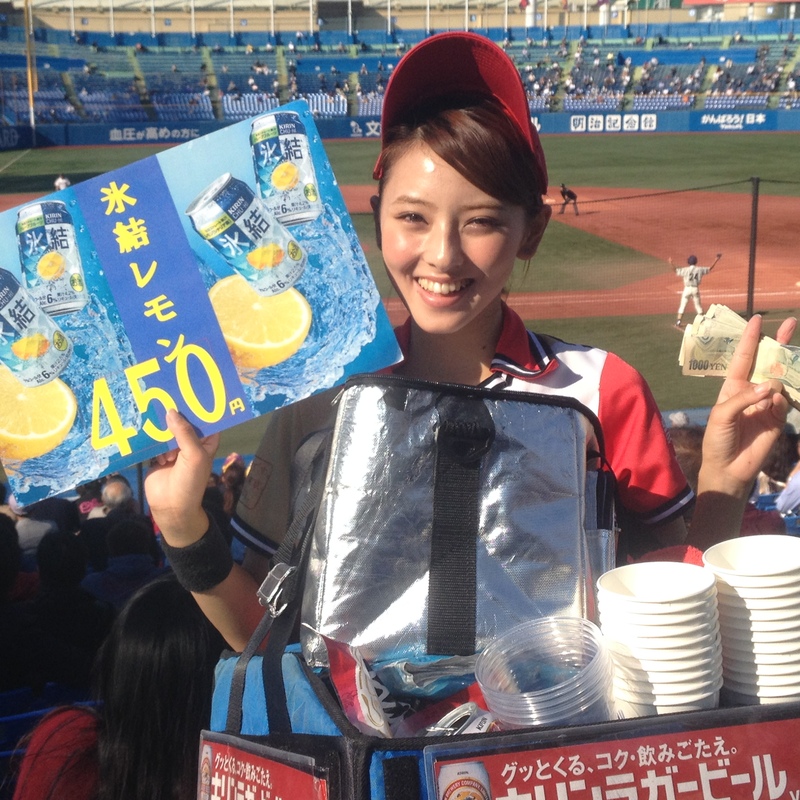 Tokyo — Japanese baseball fans are some of the world’s most diehard. 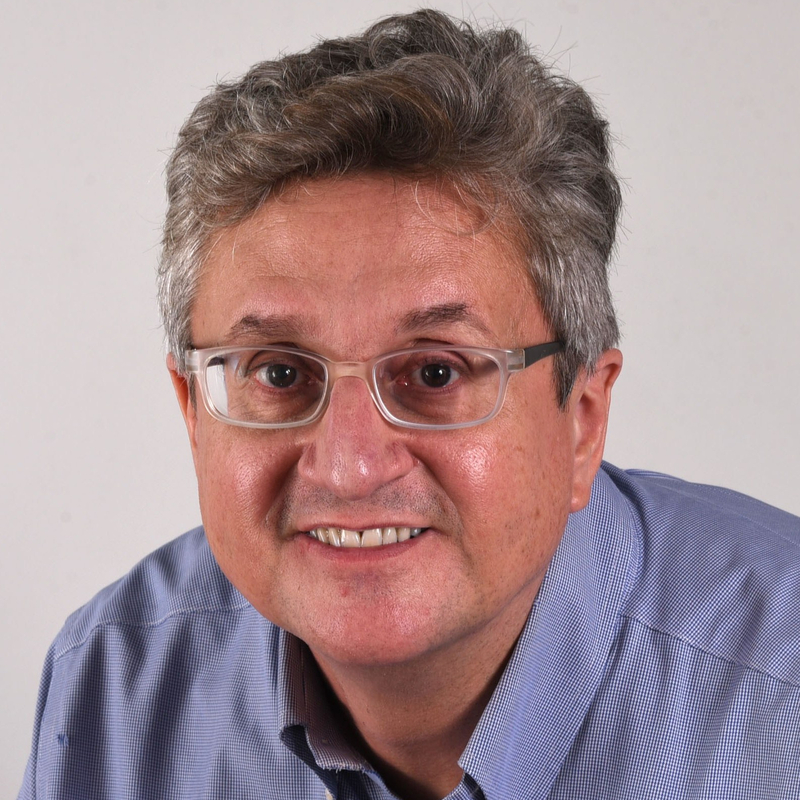 Cities across Japan, including Tokyo, now regularly slow down during the World Series in October to watch homegrown players hit and pitch in the United States. Last year Japanese watched Boston closer Koji Uehara, and this year Nori Aoki, who plays for Kansas City is hammering out hits. In all, 12 Japanese players have appeared in the MLB fall classic. The other day in Hongo, Tokyo, I spotted a street vendor selling copies of The Big Issue Japan. A glossy photo of a very glamorous looking Nicole Kidman in evening dress graced the cover. I bought a copy for the going price, 350 yen. Not for Nicole Kidman. For the vendor.